This was the most basic B&O turntable of the day, though it is difficult to tell the difference between this and the more expensive models such as Beogram 1900 or Beogram 1902. Text copyright © Beocentral. Unauthorised reproduction prohibited. Beogram 1500, along with Beocord 1500 and Beomaster 1500, made up a basic separates system, though one could have opted for Beocenter 2600 instead, which was effectively the Beomaster and the Beocord combined. Text copyright © Beocentral. Unauthorised reproduction prohibited. There are differences between Beogram 1500 and Beogram 1900/1902, though one has to be sharp-eyed to spot them: The Beogram 1900/1902 has a weight composed of stacked steel plates on the subchassis next to the motor, which Beogram 1500 does not. Secondly, Beograms 1900 and 1902 have a tiny “B&O” sign printed in the centre of the lid. The former difference would improve the performance of the machine slightly, but in view of the costs of the parts involved it seems hardly worth it to have left them out. Text copyright © Beocentral. Unauthorised reproduction prohibited. This range of models included many derived types, and Beocenters such as the 4600 and 3300 used the same basic mechanical parts too. 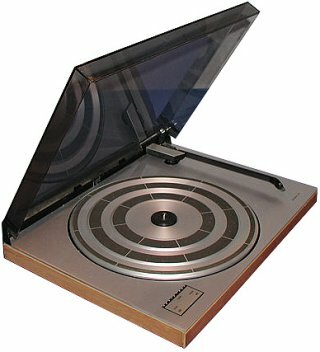 The next “basic” turntable was the much later Beogram 1800/RX series, which used a completely new microprocessor controlled mechanism. Text copyright © Beocentral. Unauthorised reproduction prohibited.